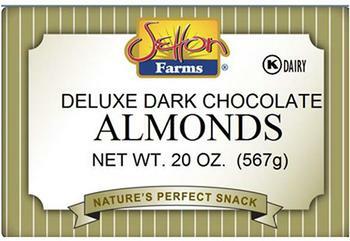 Setton International Foods of Commack, N.Y., is recalling select dark chocolate almonds and dark chocolate raisins products containing milk, an allergen not declared on the label. The recalled products, which include all “Best Before” dates, were sold at Price Chopper Stores and Market Basket Stores in Connecticut, Massachusetts, Maine, New Hampshire, New York, Pennsylvania and Vermont. Customers with a milk allergy who purchased the recalled products and should discontinue use immediately and return the product to the store where it was purchased for a full refund. Consumers with questions may contact Setton International Foods, at 1-800-227-4397, Monday-Friday, 9am-3pm.